The Mission has long felt like a barren hellscape for last-minute diners. Want to go there? They’ve been fully booked for days. What about that other place? Your only chance was two months ago, at 4 a.m. It’s not hard to find yourself casting about on OpenTable, two hours before mealtime, feverishly hunting for that perfect date night/group outing/adventurous eating option. But in the last few months, through the fog of war, quality has begun to emerge. Restaurants that you can safely show up at and be seated accordingly — even, perish the thought, on weekends — suddenly exist. We don’t know if it’s coincidence or cosmic planning that they all came out of the Mekong Delta, but we’re deeply grateful. 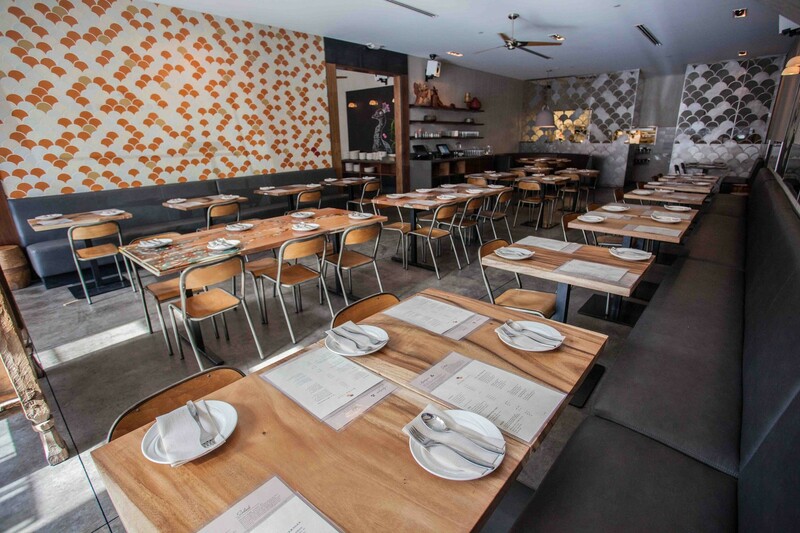 First was Lers Ros, a third outpost of one of our favorite spots for classic Thai eats. Then came Hawker Fare, whose Thai-Singaporean delights rose out of Oakland to plant their flag in SF. And, finally, we get Burma Love, the shinier, fancier, faster, and better version of Burma Superstar, from the Richmond. Real talk, for a moment. We’ve had some mediocre-to-weak meals at the original Superstar. That place is such a factory (with a 2 hour wait!) that it sometimes feels like they’re mailing it. Burma Love, on the other hand, is definitely not mailing it in. The tea leaf salad actually delivered the odd mix of tang and earthiness we were always promised. The curries and spices were hits across the board. The room is significantly more upscale than Superstar, and it works — they did a good job upping the date atmosphere. Times are good. So if you sometimes feel like the whole city makes plans way too far in advance, listen up. It’s time to introduce a little anarchy. Become an agent of chaos. Burma Love can help us start the revolution. Okay, let’s not all lose our sh*t here. It’s a pretty good salad with a bit of tea flavor. They bring it out “deconstructed” and mix it together, which is a neat trick to make it look cooler than other salads. If you’ve never been, you probably have to order it. Same flavors, but the base is mostly crispy rice. A nice way to change it up. Does spicy grilled shrimp served in a piping-hot skillet sound good? Uh, yeah. It’s a pile of diced spicy chicken in a bowl, and it brings the spicy/minty flavor. Definitely a get. Often a super boring meat, because it has no flavor. Not so here, the garlic/chili action amps it up. Bones are a bit annoying though. Just a really solid basic curry. We went with beef and were not displeased with the quantity. Another deconstructed-to-mixed dish. The bites we had with lots of curry sauce punch were great, while the others were boring. Not a necessity. Also not a necessity, unless you’re vegan or something. By far the least flavorful thing we had. And you come here for the spice! BStar Cafe in the Richmond serves the same Burmese food as its sibling, Burma Superstar, but a shorter wait. B Star Bar in the Richmond is go-to spot for Burmese. Mandalay in the Richmond has great Burmese food that’s great for a casual weeknight dinner.